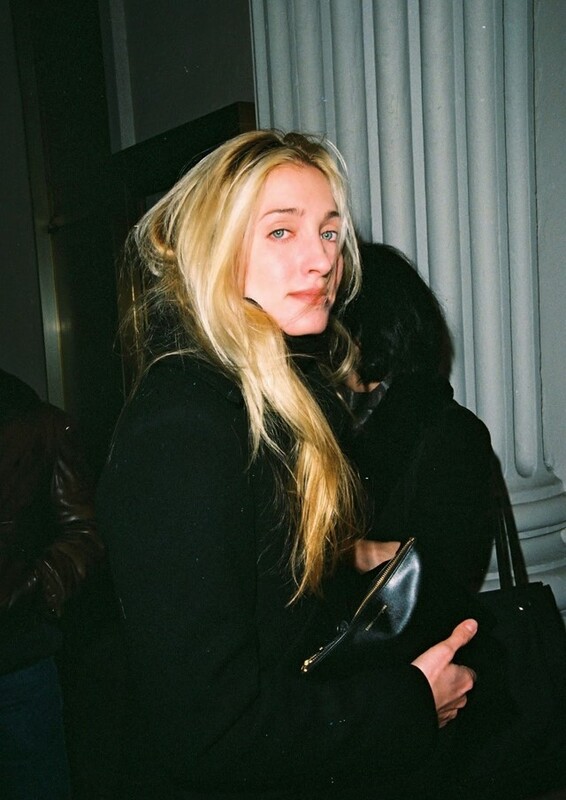 The sartorial legacy that Carolyn Bessette-Kennedy left the world, after her husband John F. Kennedy Jr. crashed their private plane in 1999 and cut both their lives tragically short, has gained a particularly enthusiastic cult following. For those familiar with her signature style, the woman who worked as a publicist for Calvin Klein is symbolic of a particular late 90s sensibility that focused on all things pared back yet unbearably elegant, with images of Bessette-Kennedy – often paparazzi shots of her navigating the streets of New York in a pair of 517 Levis and a simple white shirt – tacked to the mood boards of stylists and designers alike. Bessette-Kennedy’s story echoes that of an all-American Princess Diana: from the way she was scrutinised by the press for her marriage to a member of US political royalty, to the manner in which she cemented her status as a style icon representative of the country from which she hailed. If you don’t know her, we hope you’ll take this article as a chance to become acquainted with the late, great Carolyn. You’ll be running out to buy a tortoiseshell Alice band in no time. Muted colour palettes and simple, androgynous silhouettes became emblematic of a style which presented itself with nonchalance, yet possessed the unique ability to make the most humble of pieces covetable. Her beauty choices were also reflective of the way in which she dressed, with luminous blonde hair often slicked into unfussy chignons and ponytails offset with a plastic Alice band, or otherwise left to tumble down her shoulders, framing a make-up free face. Her notorious wedding day (which came as a total surprise to the American nation) was no different, exuding an ambiance that was particularly Carolyn. Narciso Rodriguez designed her dress – a silk, floor-length gown worn with beaded Manolo Blahnik sandals – and her hair was fastened with a pin belonging to her mother-in-law Jackie O. Neither a meringue nor a lace garter in sight. 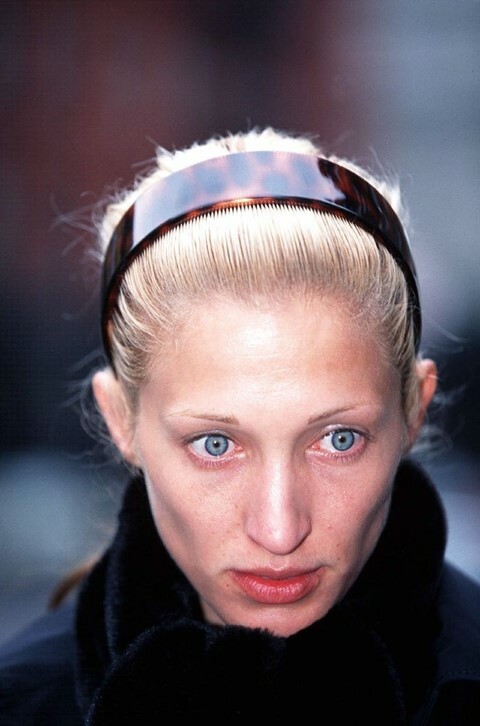 Carolyn Bessette-Kennedy was born in 1966 in New York. She had two older sisters, one of whom died alongside her and John in the 1999 Martha’s Vineyard plane crash. In high school, Carolyn was voted by her classmates to be the ‘Ultimate Beautiful Person’, a social butterfly who hung out with the in-crowd and attended all the right parties. She graduated with a degree in elementary education in 1988, yet soon after gained employment as a salesperson at the Calvin Klein store in Boston. While working there, she caught the eye of an executive for the brand, who became so enchanted with her style that she recommended her for a position dealing with high-profile clients from Annette Benning to Diane Sawyer. A former Calvin Klein employee told the New York Times that she was ‘The Look’, with her ability to pull together insouciant ensembles remembered to this day at the American fashion house (a particularly notable moment being when she turned up to work wearing one of Klein’s leather jackets as a blouse). Her minimalist style was featured in fashion publications of the time – from W Magazine to Vanity Fair – but often Bessette-Kennedy refused to give interviews. After her marriage to John F. Kennedy Jr. in 1996, she became heavily involved with charity work up until her death.